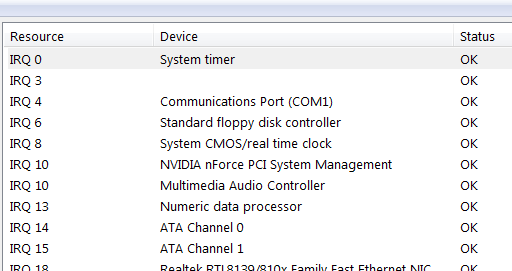 Most components directly attached to your motherboard—including PCI slots, IDE controllers, serial ports, the keyboard port, and even your motherboard’s CMOS—have individual interrupt requests (IRQs) assigned to them. An interrupt request line, or IRQ, is a numbered hardware line over which a device can interrupt the normal flow of data to the processor, allowing the device to function. Windows Vista and 7 lets you prioritize one or more IRQs (which translate to one or more hardware devices), potentially improving the performance of those devices. 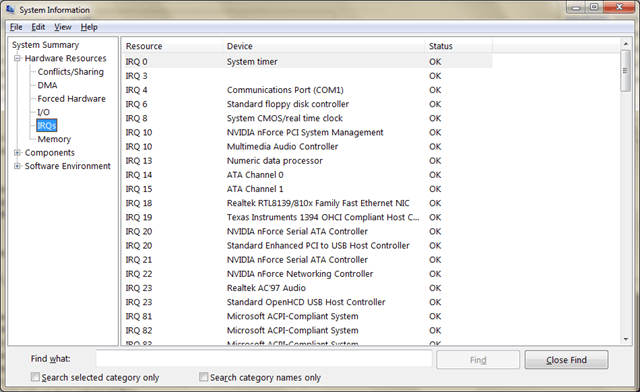 Below are basic registry editing tips that you can use to set IRQ priorities. 1. Start by opening the System Information utility (msinfo32.exe), and navigating to System Summary\Hardware Resources\IRQs to view the IRQs in use on your system, and the devices using them. 2. 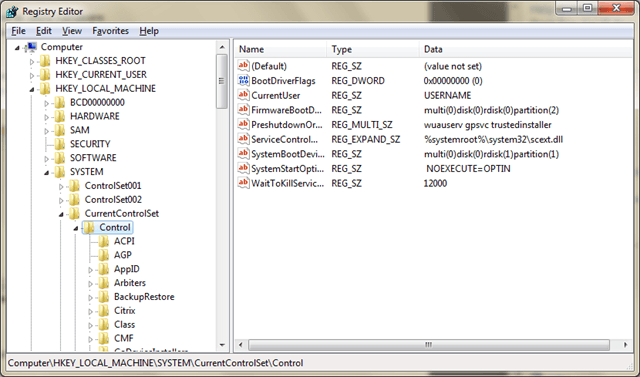 Next, open the Registry Editor and navigate to the following key. If PriorityControl doesn’t exist, create the key under Control. 3. Create a new DWORD value in this key, and call it IRQ#Priority, where # is the IRQ of the device you wish to prioritize (e.g., IRQ13Priority for IRQ 13, which is your numeric processor). 4. 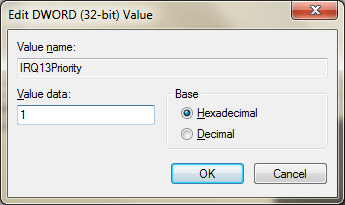 Double-click the new value, and enter a number for its priority. Enter 1 for top priority, 2 for second, and so on. Make sure not to enter the same priority number for two entries, and keep it simple by experimenting with only one or two values at first. 5. Close the Registry Editor and reboot your computer when you’re done. Some users have gotten good results prioritizing IRQ 8 (for the system CMOS) and the IRQ corresponding to the video card, but the feedback is unconfirmed. Do you think it is a placebo tweak? Post your comments!